Apologies for the week’s absence, the beginning of the semester had me preoccupied last week. Fortunately, I am continuing the piggyback off 2015 by asking: Out of all the anime-ish swag you got last year, what was your most prized addition to the collection? 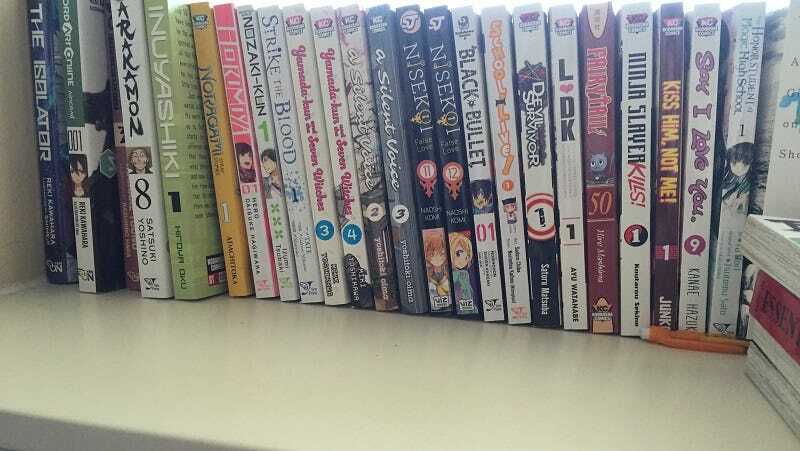 For me, I was pleased with the growth of my manga collection (not pictured: the other 90% of it, which is stored somewhere else). Header from the marginally animated A Life of Elegance and Other Things: Protonstorm’s Great Adventure.